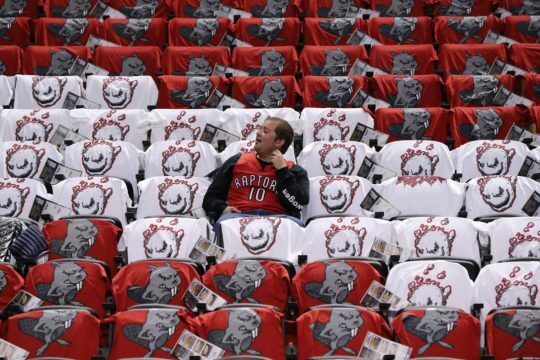 the team’s fans, seemingly unaware of NBA rules, don’t realize that. interacting with players from both teams. hit the center with a low-blow. tries to dunk on the opposing center.